Hospital wards in East Yorkshire have been boosted by a further intake of qualified nurses. 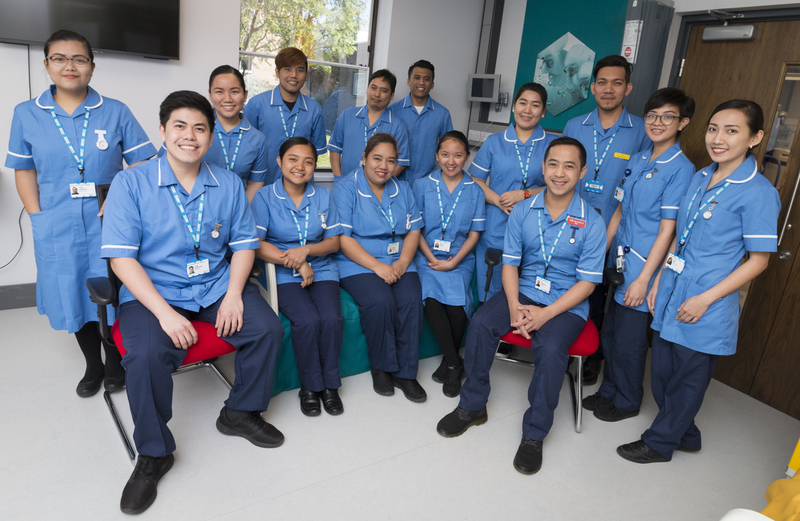 Hull University Teaching Hospitals NHS Trust has been working with international recruitment firm, Resource Finder, to attract nurses working in the Philippines to live and work in the UK. Like many others across the country, the Trust which runs Hull Royal Infirmary and Castle Hill Hospital in Cottingham is struggling to recruit qualified nurses in the UK, so is now looking further afield in order to boost its staffing complement. “The shortage of qualified nurses is something which Trusts up and down the country are experiencing, so increasingly we’re all competing to attract the same, limited number of people. “As well as our ongoing work with the University of Hull, which is regularly helping us to recruit more than 140 newly qualified nurses each year, we have also been looking to international recruitment as a means of bringing more qualified and experienced nursing staff onto our wards. A total of 23 nurses have so far arrived in the UK, of which 21 have successfully passed the practical, language and knowledge-based examinations required to practice to UK standards, known as Objective Structured Clinical Examinations (OCSEs). They are now working in areas such as intensive care, surgical theatres and the acute medical unit. The remaining two are already working in clinical support roles at HRI and Castle Hill to gain experience of local hospitals, pending successful completion of their OSCEs. “I was a nurse for five years at Chong Hua Hospital in the Philippines before coming to Hull. I didn’t feel like I was going anywhere and so when I was given the opportunity, I came here as a way of progressing my career. “My son, Calix, was born in January and I have not seen him or held him yet. It’s been difficult but it’s something I have to do for my family. I want to get myself established in Hull, so I will be returning home to meet Calix and to see my family in November. “We have worked closely with Hull University Teaching Hospitals NHS Trust for a prolonged period to identify and vet the most suitable nurses from the Philippines. As an organisation, we have invested heavily to ensure we offer a safe and trusted pathway into the NHS for these outstanding nurses and the Trust. “Not only is our process of bringing nurses here effective, our efforts always continue beyond their arrival to ensure the transition into the UK is comfortable. Our team support from a professional and personal perspective with assistance towards clinical examinations such as the OSCE to finding properties to live. “The Filipino nurses joining us have quite varied backgrounds; some have been working as personal carers, while one worked in intensive care and another worked as an occupational health nurse, for example. “As nursing practice and expectations can differ between countries, the NMC assessments which nurses coming into the UK have to pass are very stringent. The OSCE covers all aspects of care from dressing changes and infection control to care planning and administering medication, so in passing this examination, we can be confident that our newest recruits are able to work to the required standard. “The new recruits are all so positive and enthusiastic about coming to work in Hull, it’s really fantastic and refreshing to see.